Loft-inspired 2568 sq ft detached infill on a large lot on a quiet tree-lined street in the historic neighbourhood of Ramsay. Want to learn more or schedule a viewing? These are brand new 2 storey, 2 or 3 bedroom, townhomes in Altadore. This project has been meticulously designed and developed to fit all of your needs and wants in a classic inner city style. Curb appeal is paramount with stylish brick and James Hardie board siding. Upgrades in this home include double attached garage, private roof top patio, large front and rear decks, enclosed private south facing yards, premium appliance package, triple paned windows. Choose from 2 interior designs River (cool, grey tones w/chrome accents) or Prairie (warm, beige tones w/black accents). Walking distance to all amenities, dog park, Schools, Marda Loop shopping district, with great restaurants and night life. Live a life of convenience and ease with this perfectly located and designed home. Possessions projected for early 2019. To learn more about the Stirling6, please visit www.stirling6.ca. Ranger Homes welcomes the opportunity to work with you to create a custom home that is uniquely you. We are happy to offer you ideas, resources, and information to start your journey to create the custom home of your dreams. 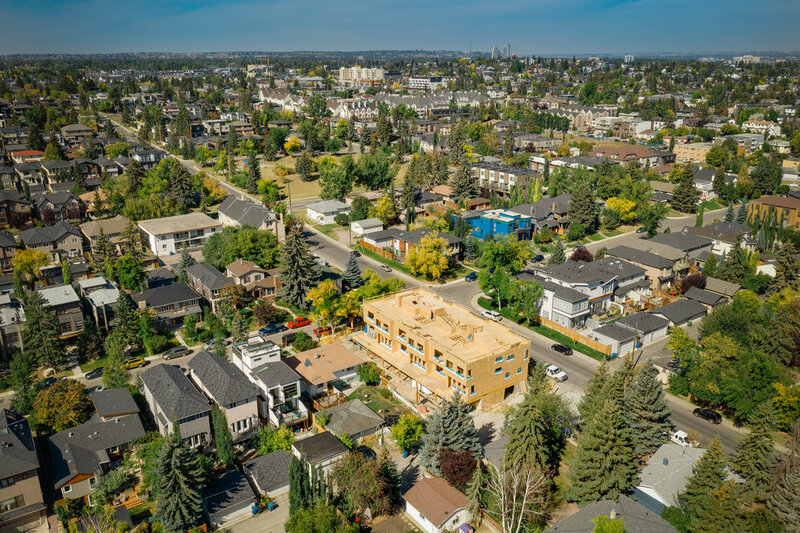 If you’ve got a step up on the property ladder and have gone through an entry-level home or two, you may be ready to take the next step towards owning your dream home in the city of Calgary. The big question remains: Do you build, or buy? Whether you choose to buy or build you will get you a house, but these two paths have different issues that need attention. Here are some pros and cons to help you weigh your options. An existing home will never have everything you’ve always wanted in your dream home, because you weren’t there to call the shots when it was being built. You may have to deal with a floor plan that doesn’t match your lifestyle or costly maintenance and renovations. When it comes to your dream home, everything should be exactly as you like it, which is one of the biggest advantages of building custom. From floor plans to building materials, appliances and design, you can work with your contractor to build a dream home that is everything you want and nothing you don’t. Building your dream home means investing your time and finances into getting it right. Whether caused by challenging weather or glitches in obtaining the proper materials, delays happen. However, with the right homebuilder and transparent communication, there should be no surprises throughout the process. Our recommendation: be sure to choose your contractor carefully, ask the right questions and ensure that trust and communication are the foundation of your working relationship. Ranger Homes is a professional building company specializing in innovative and original homes. 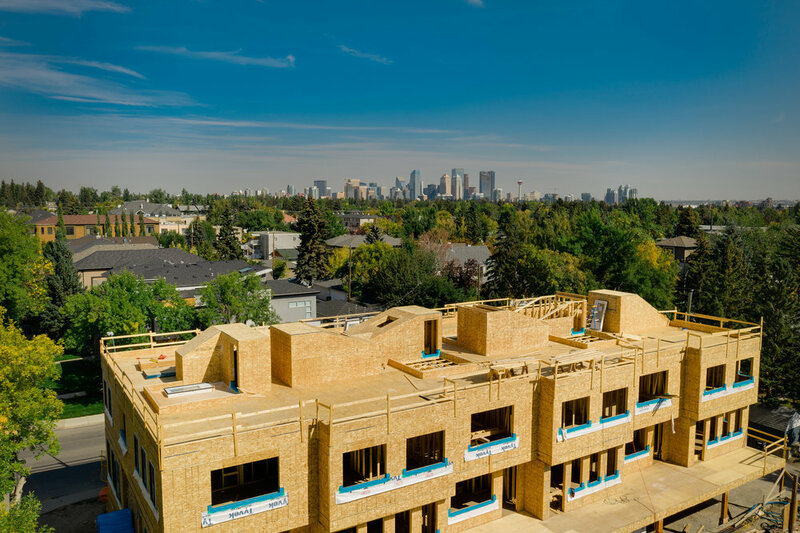 Our primary focus is on new custom homes and designs in inner city communities. While we are very proud of our own designs we are open to working with a designer of your choice. We are a small company therefore we only take on a few projects each year to ensure they receive our full attention. We guarantee that our standards of integrity, quality, and innovation influence every step of our process. Join the conversation on Twitter & Facebook, subscribe to our monthly newsletter, follow us on Instagram & Pinterest, or get in touch for more information. The conversation around architectural solutions for flooding within the city of Calgary has been very real and alive since Alberta’s 2013 flood. As we near the third anniversary of the Alberta Flood, we are reminded how important flood mitigation solutions are for riverside homeowners in our city. 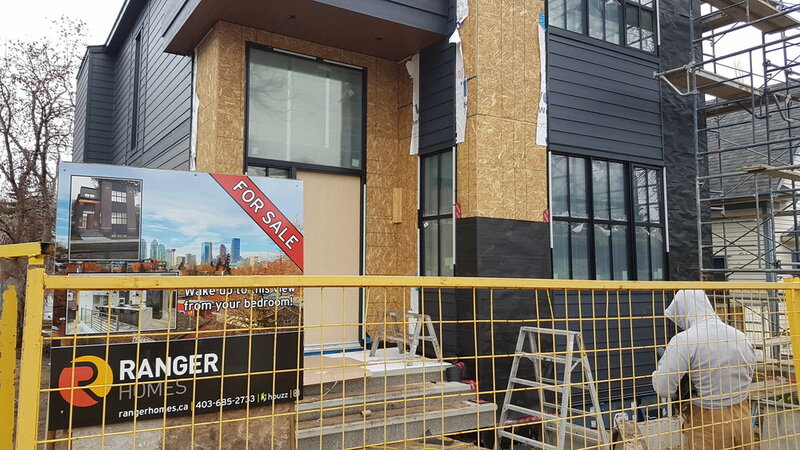 Many Calgarians have rebuilt and moved on, but will the homes withstand future floods? Ranger Homes is leading the way in residential architectural adaptation, by providing a thoughtful solution for rebuilding within the flood fringe. Nearly three years ago, after meeting a Bowness couple whose riverside home had been wiped out by the floodwaters, custom homebuilder Ranger Homes was hired to provide a unique solution for rebuilding within the flood fringe. “It meant everything for us to be able to move back here. Bowness has a real and genuine community spirit. It was this way before the flood and has only strengthened since the flood. We feel supported by the sense of kinship here,” explains the Bowness Homeowner. The couple’s home was not included in the 79 flood-damaged Alberta homes that were bought for more than $100-million by the province back in 2013. The couple was in love with the beauty of the location they had chosen as home and because they were certain that they wanted to rebuild here, they decided to finance the rebuild without any financial assistance. As engineers and homebuilders, Ranger Homes considered this from a financial and practical standpoint. “We wanted to come up with a home that would not only be everything the clients were looking for, but also provided a sustainable design that would safely withstand a future flood with a minimum of damage and cleanup,” says President and Owner of Ranger Homes, Andy Kolaczek. To ensure the home could withstand future floods, the fully flood mitigated dwelling was rebuilt on 10 concrete piles, socketed into bedrock. Above this point, the 2,794 square foot bungalow is constructed like most other homes. It looks like a typical house but it has no basement and sits well above the 1 in 100 year flood level. If floodwaters were to rise again, the elevated home would remain safe, as the water would flow beneath the main floor, rather than through it. “After having to demolish our flood destroyed home, we feel a great sense of achievement and safety having taken all of the possible measures to build a fully mitigated home,” remarks Ranger Homes’ Bowness Client. The new home exceeded the owner’s expectations and met the requirements put forth by the City and Province. “We are proud to provide an inventive example of the residential adaptation this city needs. 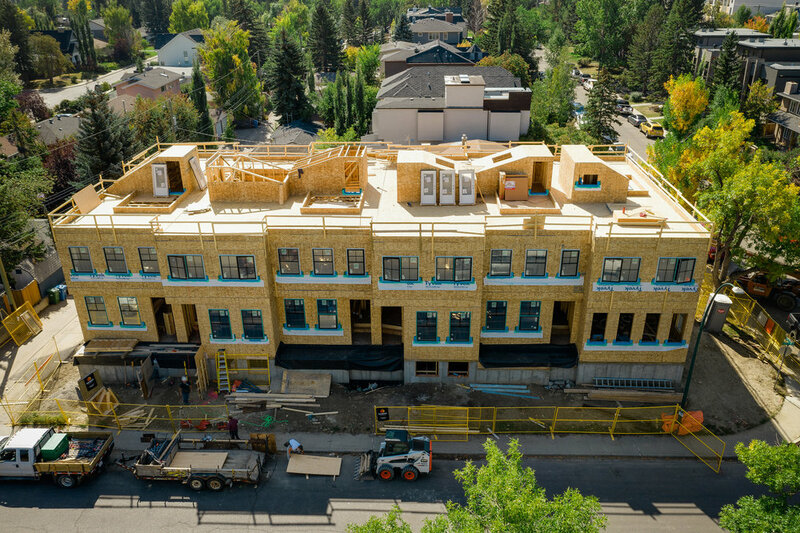 We look forward to leading the way in offering innovative flood mitigation solutions for Calgary homeowners,” says Andy Kolaczek. Andy and Emily Kolaczek, Founders of Ranger Homes Inc., have been working with Calgary homeowners for over ten years. 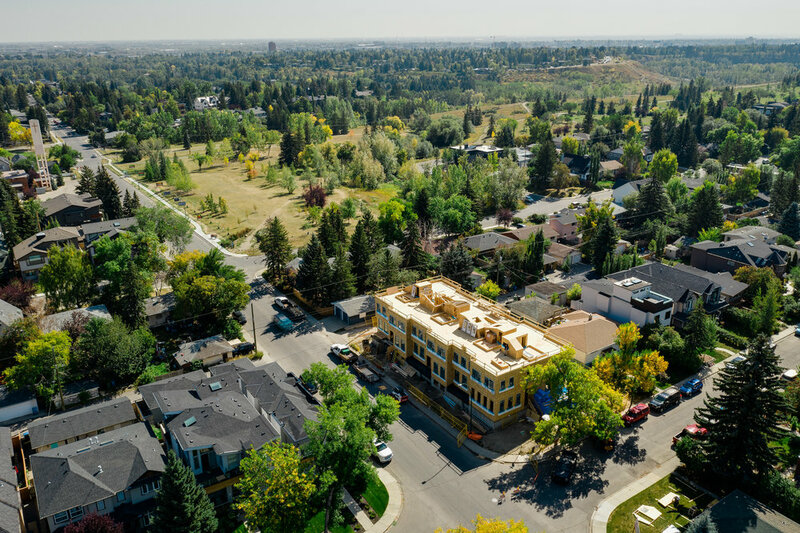 Over the past decade, they have completed dozens of projects in Calgary, ranging from whole-house renovations and large-scale additions, to backyard suites, new custom infills, and estate homes. At Ranger Homes, we love living, working and playing in our city. 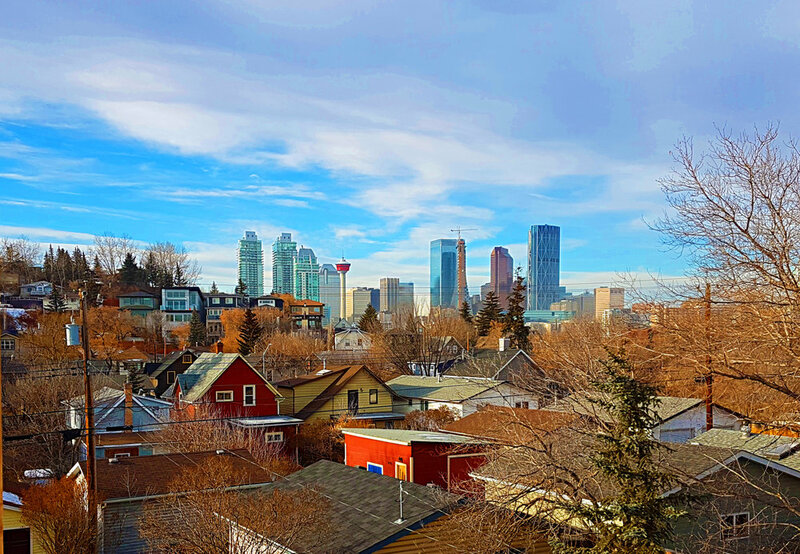 If you are considering moving to Calgary, here are just a few reasons we encourage you to make the move. If you’re looking for a city that has it all, Calgary is the place for you. There is no shortage of things of to do, from outdoor adventures in the Rocky Mountains to sporting events, world-class restaurants and art shows, Calgary is full of opportunities that will enhance your quality of life. Did you know that Calgary made Canadian Family’s Top 10 Family-Friendly Canadian Cities list? To come up with the most family-friendly cities in Canada, Canadian Family crunched some serious statistics and talked with some of the most reputable sources around. Calgary is currently the fourth largest city in Canada with the highest immigrant population, next to Toronto, Vancouver and Montreal. A number of diverse cultures call Calgary home, which brings a range of unique experiences, perspectives and vibrancy to our city. To date, the Calgary Stampede has become one of the most unique rodeos in the world, seeing over 1 million visitors each year. Calgarians get to enjoy its fun and festivities every year, just minutes from home. Ranger Homes Inc. Has Been Tailoring Unique Design and Construction to Match Clients Needs and Specific Tastes for the Past Decade. When it comes to designing a custom home, there is no one-size-fits-all option. For this reason, it is important to work with your contractor on defining and describing your design preferences, and tailoring your home’s layout to fit your lifestyle. Here are some of the top trends we’ve seen this year in home design. Stairways no longer exist for strictly function, but are now a focal point in the home. Materials such as glass panels and wrought iron have a stronger presence in the design process. Highly saturated tones in the kitchen are a thing of the past. The trend has shifted towards soft muted colours like whites and greys. Natural elements like Carrera marble, soapstone and butcher block are being incorporated into the mix. Gone are the days when kitchens were disconnected from a home’s primary living space. Merging the kitchen with the living room provides for greater flow and a sense of commonality. Relying heavily on convenience and maximum efficiency, today’s buyer expects state of the art technology. Smart homes that boast purposeful and advanced appliances and gadgets are here to stay. “Visualize how your family will fit into your custom home and how your preferences will enhance your home’s functionality. Keep in mind what will be most comfortable for you and your unique lifestyle on a day-to-day basis,” advises Ranger Homes. Building custom means integrating finishes and features that truly make your home one-of-a-kind. Upholstery, draperies, rugs, carpet tiles, mirrors, cabinetry, salvaged vanities, live-edge tables and art – custom options are endless. Personalized pieces and custom features are more affordable than you may think, especially if you know where to focus your attention. Whether you’re importing recycled brick from an old, industrial building, creating a custom piece of furniture, or personalizing a room with original pillows, a custom piece can make all the difference in creating a home that’s uniquely you. Interested in more resources that can help you with your custom home? We’ve got you covered.